Don’t let the high priced, low quality hotel sound systems ruin your event!!! If you need your message to be heard and don’t want to think about the equipment involved, Audio 911 will take care of everything. 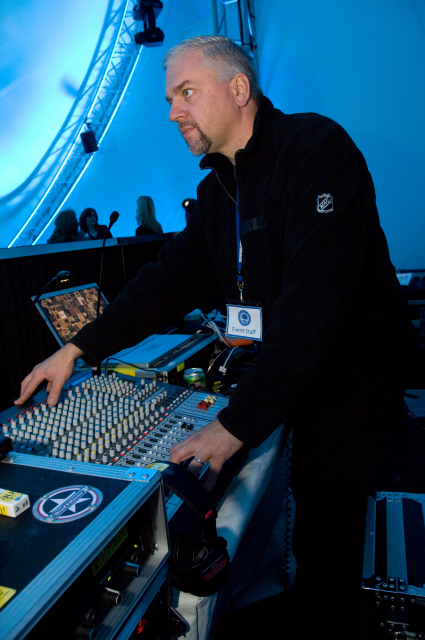 Audio 911 provides live sound reinforcement services for high end events including corporate meetings, parties, and general sound distribution in small and large venues. We can provide wireless microphone systems, automatic microphone mixing, music playback, teleconference and audioconference amplification for audiences from 10 to 10,000. Audio distribution can be provided for multiple camera shoots and press feeds can be made available for up to 32 sources. We don’t provide LCD projectors, powerpoint computers, or video cameras. We specialize in only high quality audio. Please contact Audio 911 to discuss the audio needs for your next live event!